Rick's Pocono Blog: Bushkill Falls Is Niagra Falls in the Poconos! There are no real Waterfalls right along the Delaware River, but along the Tributaries of the Delaware River in The Great and Beautiful Pocono Mountains of Northeastern Pennsylvania there are many Marvelous Waterfalls. Water Drains all throughout the Mountains of Northeastern Pennsylvania on the way to the Delaware River. 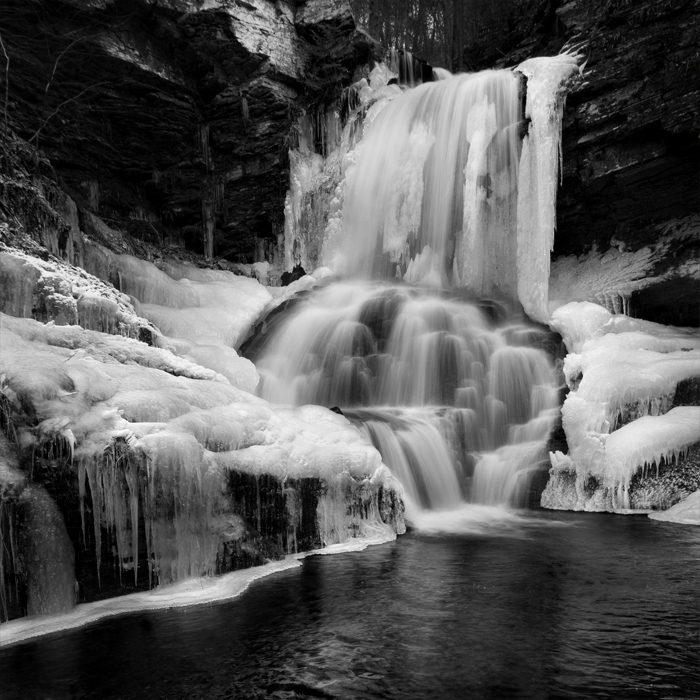 The Water Flows and Falls over a great number of Cliffs, Ledges, and Escarpments creating some of the most Breathtaking Waterfalls that are Worth seeing for all Pocono Mountain Tourists. Get Your Cameras Ready for Waterfalls of Beauty! Bushkill Falls Drops 100 Feet along Bushkill Creek, and it is sometimes called The Niagara Falls of the Pocono Mountains. There is a Hiking Trail going Right along the Waterfalls making this a very popular Tourist Attraction for the Poconos. Bushkill Falls is a very popular Destination for Tourists staying at the Grand Hotels and Resorts in the Poconos. Fulmer Falls drops 55 feet along Dingmans Creek in the George W Childs Recreation Site in the Pocono Mountains, and it is located just upstream from Dear Leap Falls and just downstream from Factory Falls. Silverthread Falls is a really Beautiful Waterfall that drops 80 Feet along a tributary of Dingmans Creek near Dingmans Falls in the Pocono Mountains. Silverthread Falls can be seen from a Boardwalk that leads to Dingman Falls from the Visitor Center. All the Great Waterfalls are Connected from the Deleware River to the Beautiful Bushkill Falls! There is also Raymondskill Falls, Bridal Veil Falls, Factory Falls, Deer Leap Falls, and Resica Falls. The Pocono Mountains Has a Countless Number of Creeks, Lakes, Streams, Waterfalls, and Rivers. The Beautiful Waterfalls Of Bushkill are a Wonderful Thing to Experience, and you will Cherish the moment Forever in you Heart and Camera!